Home/Bramley & Gage/Quince Liqueur (35cl) 18% ABV. Made using the Vranga and Meecher’s Prolific varieties these rare and fragrant fruits are a related to pears and apples. 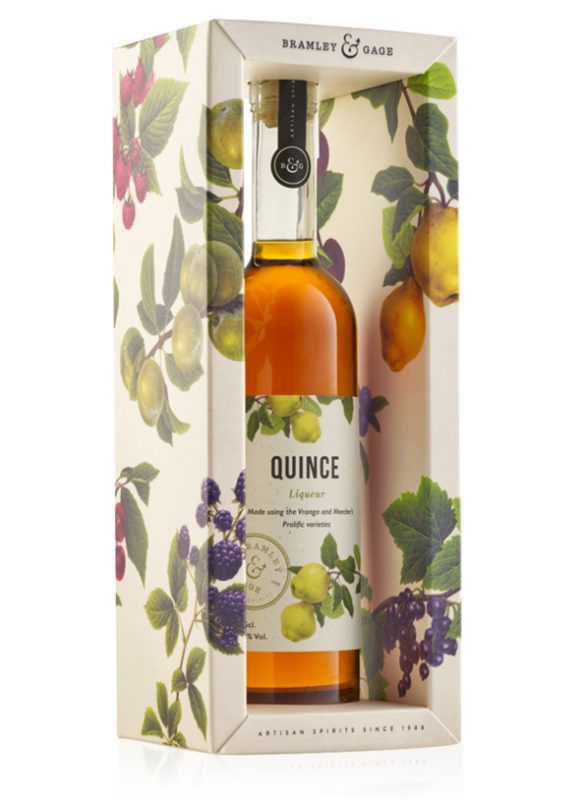 With a soft ‘honey’ nose Quince Liqueur is a delicious British alternative to dessert wine. With carefully balanced acidity and sweetness this is a great accompaniment to string cheeses, adored by TV chef Nigella for her Cornish Champagne or why not try our Elderflower and Quince Collins. Quince Liqueur is one of only 17 drinks in the country to win a 2008 Quality Drinks Award. Judged by an independent panel of industry experts, the judging criteria are based on taste, aroma, appearance & presentation, packaging, value and innovation. “It’s a good after dinner liqueur. It’s sweet and not very harsh and easy drinking,” said one judge. “It has aromas of dates and figs, a home grown version of a dessert wine,” said another. We were nominated in the Local Drinks category – restricted to UK produced products with labelling that makes reference to local content. 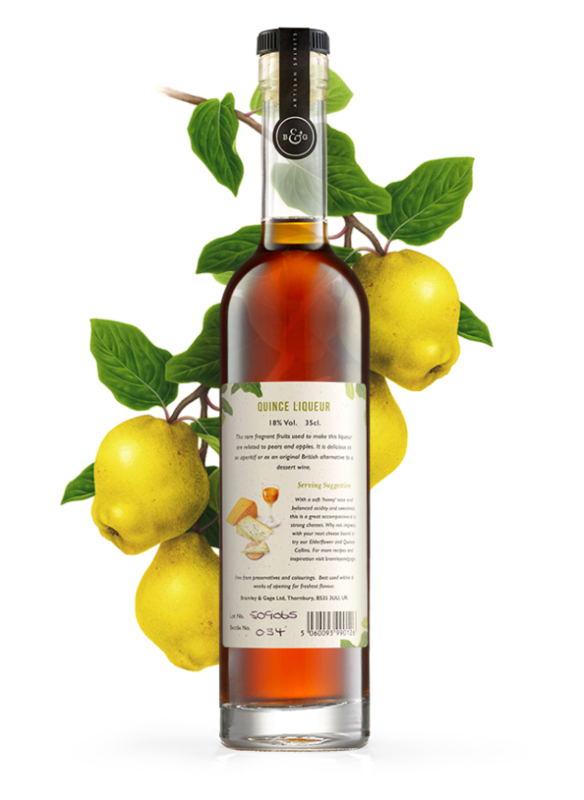 The natural acidity and sweetness of this liqueur make it the perfect accompaniment to rich foods and cheeses, while the smoothness and aromas of dates and figs make it an original alternative to a dessert wine.